IMS Engineered Products takes great pride in its value added design review, engineering experience, equipment and craftsmen. We are the industry leader in taking raw materials and processing them into finished products that meet and exceed our customer’s expectations. By utilizing our engineering and manufacturing expertise you will realize higher profitability and shorter product to market time. Check out our video walkthrough of our plant that showcases some of the technology we have on hand. IMS Engineered Products excels at laser cutting, turret punching, shearing and is capable of cutting cold rolled steel up to 1″ thick. 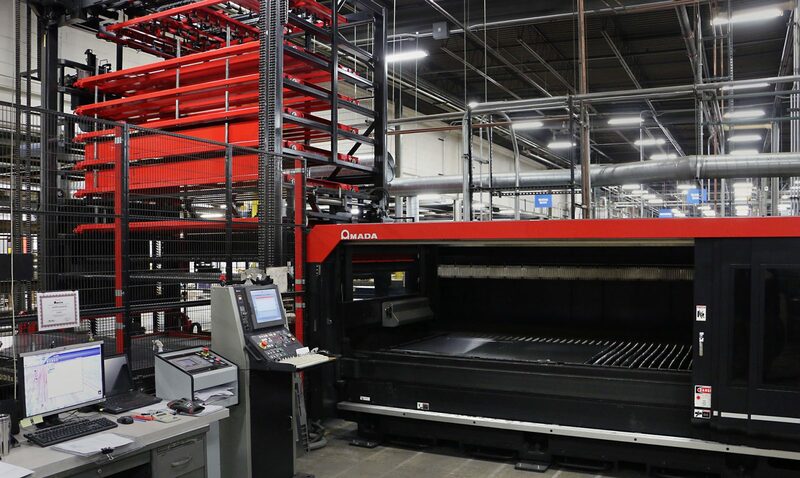 Whether you require a prototype or production run, our three lasers and four turrets, assure you that your products will be produced using the best and most cost-effective manufacturing process. (1) Built-Rite Rolling Power Roller, 36” Wide Roll, 12 Ga. Mild Steel Max. IMS Engineered Products’ forming capabilities range from 35 ton all the way up to 500 tons with bed sizes as large as 14′. We also feature an automated Salvagnini bending cell which is a flexible and rapid solution for higher volume products. 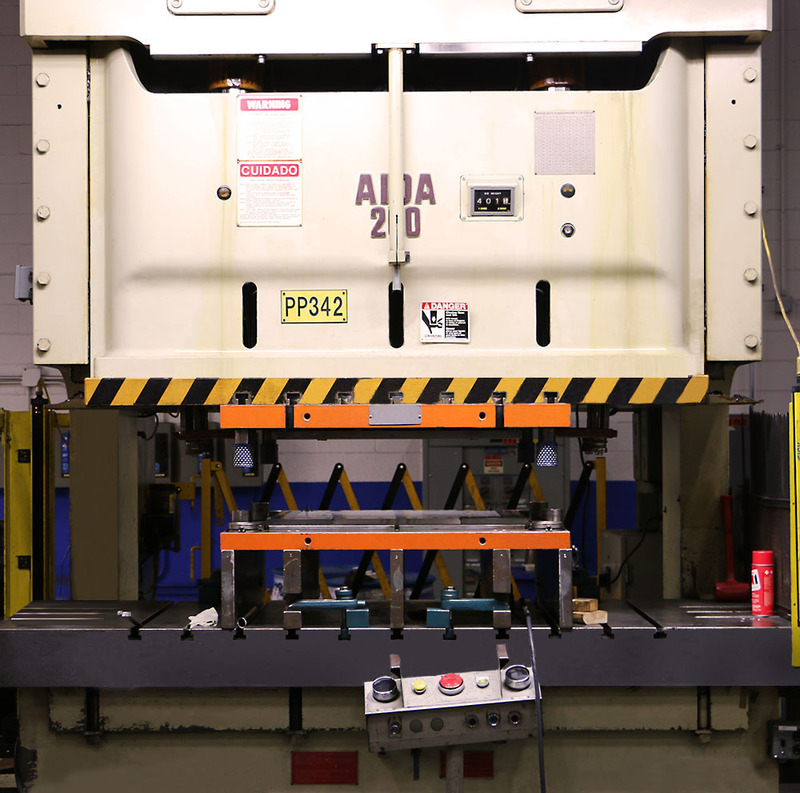 IMS Engineered Products’ stamping capabilities range from 45 to 220 tons with three different size beds for stamping. 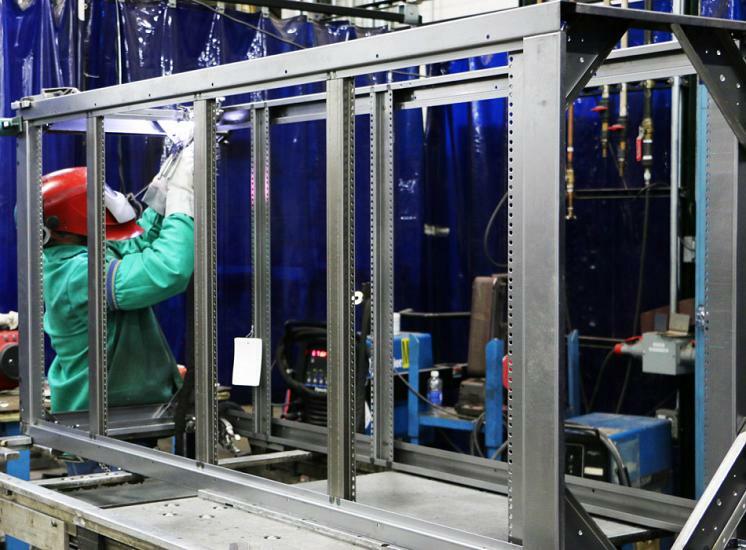 IMS Engineered Products specializes in welding steel, aluminum and stainless steel. 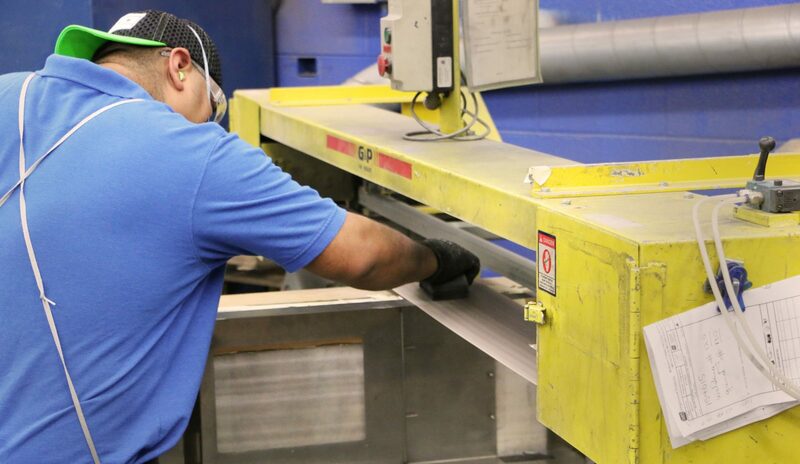 Our skilled craftsman, quality machines and extensive experience with different materials make us an industry leader. 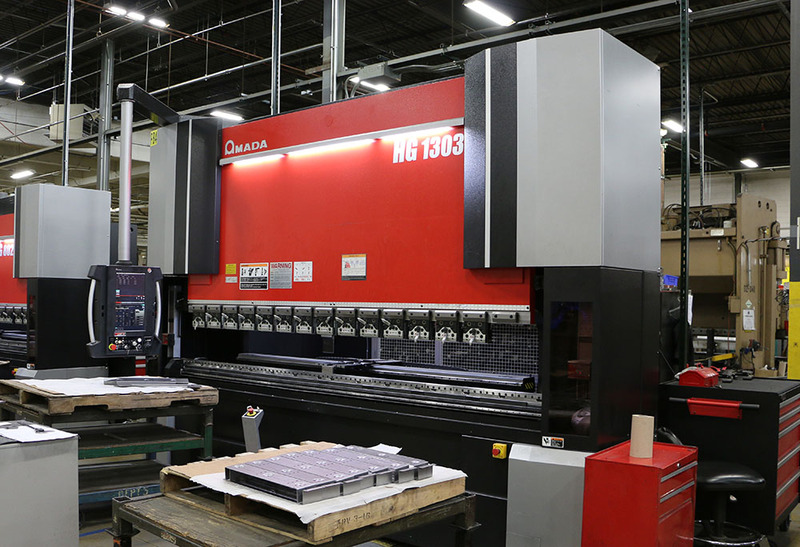 IMS Engineered Products offers a full array of CNC machining including CNC Horizontal and Vertical Machining Centers, CNC Turning and Swiss Turning Centers, along with other various machining equipment. (1) Mitsui Seiki 8” X 18” surface grinder with Sony dro. IMS Engineered Products can provide you with a variety of quality cosmetic finishes. 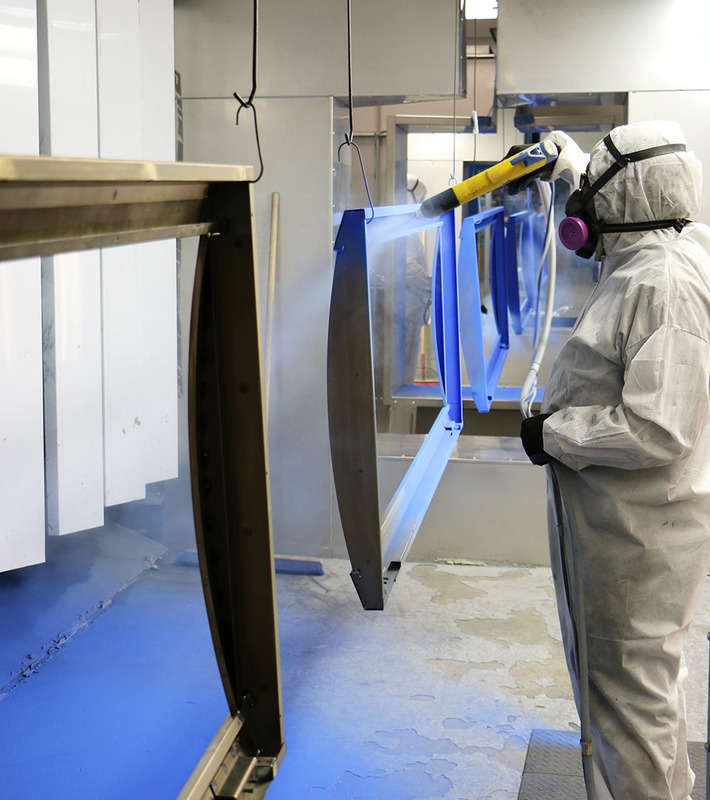 Our state-of-the-art powder coat and wet coat paint line can provide you with the exact color and coating that you require. Our polishing department is capable of various cosmetic finishes. Full Array of Manual, Air and Electric Power Hand Deburring, Grinding and Polishing Tools. (1) EFD Fluid Dispensing Air-Powered Fluid Dispenser, Adhesives, Epoxies, Sealants, etc.Full Array of Manual, Air and Electric Tools for Assembly, i.e. : Ratchets, Screw and Nut Drivers, etc. IMS Engineered Products features a dedicated prototype and short-run department staffed with highly experienced craftsmen. Our prototype department can assist with all of your quick term requirements and will work with our engineering team to offer DFM recommendations. Design and production of short-run tooling is also done in house. 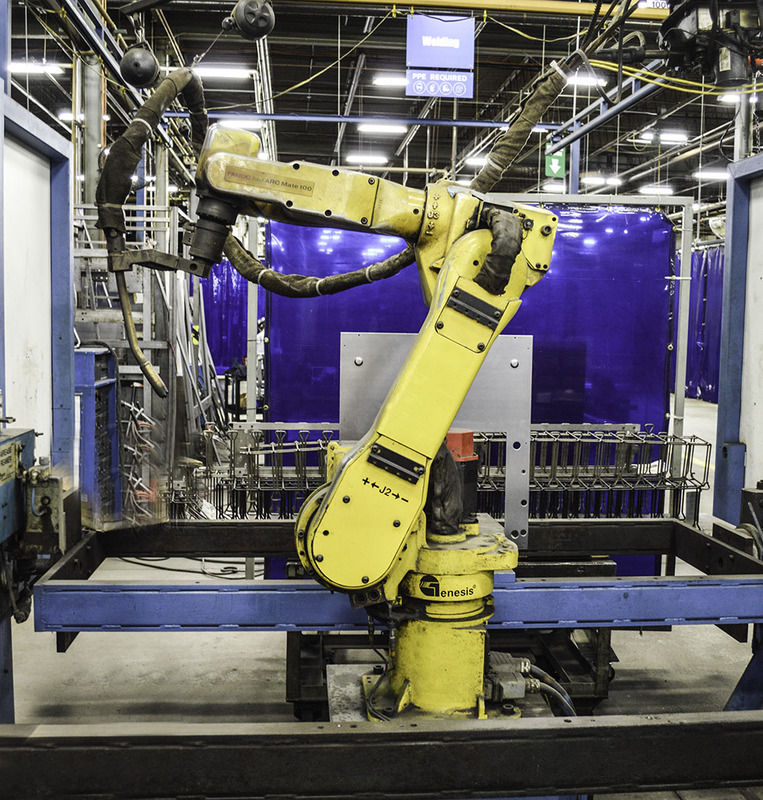 IMS EP also offers a manufacturing fast track program for any short-run parts that exceed the equipment capabilities of our prototype department. IMS Engineered Products’ top priority is our quality with practices being in accordance with ISO 9001:2008. Our quality is built into new product development all the way through full production. 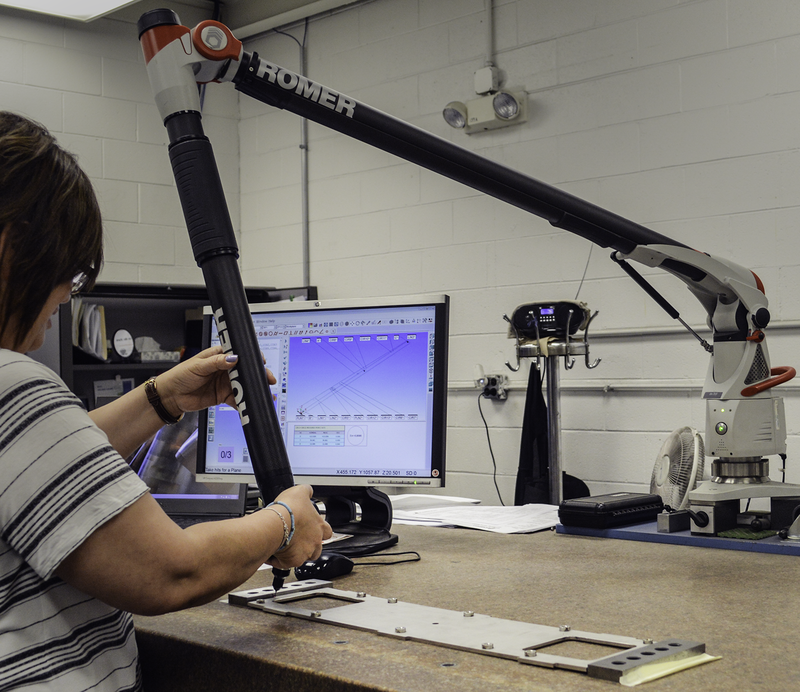 Calibrated equipment, testing systems and in-process controls are just a few of the quality components. (1) Dillon Dynamometer Tensile Tester, 0-6,000 Lb. Full Complement of Hand Measuring Devices, i.e. : Digital Height Gages, Pin Gages, Digital and Dial Calipers, Micrometers, Dial Indicators, Thread Gages, Counter Sink Gages, Protractors, Torque Wrenches, etc.